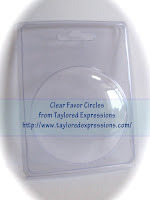 Check out all of the variety of favors that Taylor has in the store! And also make sure you hit the subscribe button at the top of the blog, so you can stay up to date on all of the happenings atTaylored Expressions and be in the "know" for all the deals and steals that Taylor has in her store! Sankari, these are so creative! Just adorable! You are amazing, my friend!! These are SO fun Sankari!!! 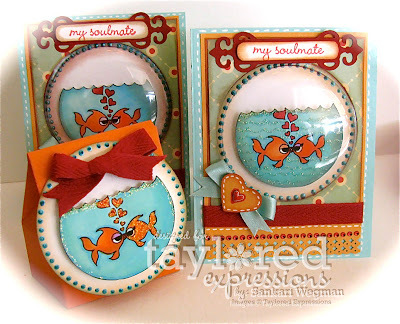 LOVE the fish in the "bowl" and all the wonderful details!!! These are FABULOUS Sankari! I LOOOOOOOOOOOOOVE these!!! Oh my...all that glitter and gloss...just GOJUS!!!! 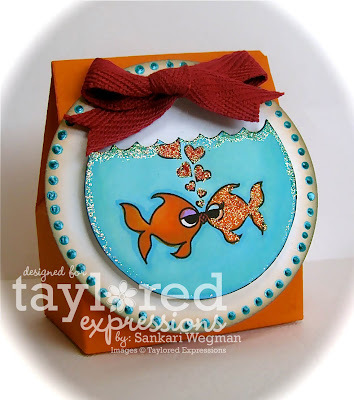 Beautiful job Sankari! Those are so cool and fun! These are so adorable--better than any favor I've ever received! 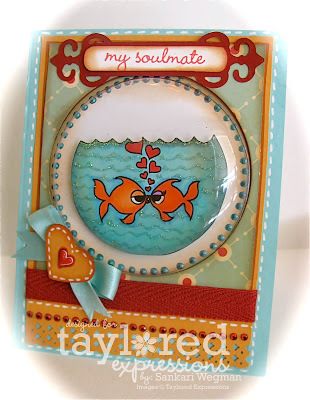 Love the fishes, too cute of a card!